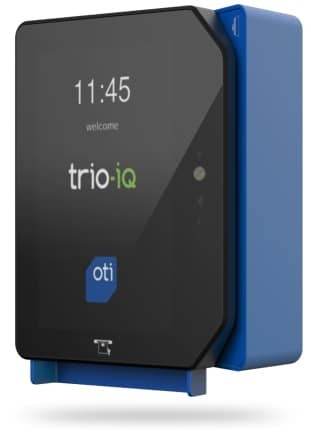 OTI has introduced its OTI Cashless Lease Trio IQ bundled solution to reduce upfront costs and maximize cash flow. The solution offers operators the freedom to provide cashless payment and receive customer support and warranty at an easy-to-manage monthly charge. The bundled lease contains a 3-month warranty and remote software upgrades. The reader features: 3.97-inch LCD and touchscreen; contactless and contact EMV; magstripe; BLE and QR code; speaker; EMV kernels; EMV modular design; USB/RS232/485; E2E encryption: and SAM X 2. The telemetry features: cellular 4G, BT/Wi-Fi; Ethernet; HDMI; Camera 5MP; USB OTG; MDB/DEX; JVMA and D & A IOs. The kiosk platform offers: pre-certified EMV L3 application; secure remote updates; kiosk API; graphic library and a sample graphic user interface; and Linux/Android OS and drivers. OTI continues to add value to its cashless unattended payment solutions by offering customers competitive and easy-to-manage leasing options to minimize up-front costs and maximize cash flow with a one-stop-shop experience. OTI will be exhibiting at Booth 1753 at the NAMA Show in Las Vegas.